Embroidery by hand and machine can be used to embellish quilts a little or a lot. 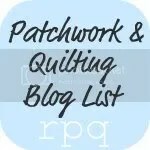 This page has links to some tutorials by quilters who embroider and embroiders who may, or may not, quilt. Hand made or Machine Made Lace or Embroidery?